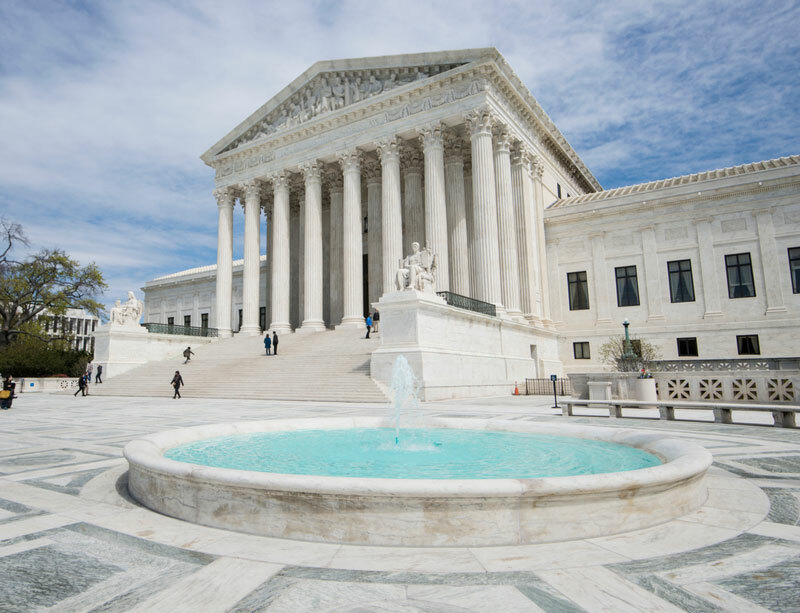 The U.S. Supreme Court ruled Tuesday that manufacturers are liable for asbestos-containing materials they did not make, distribute or install, but were needed for their equipment to function properly. The maritime-law ruling involved Navy veterans who were not warned about the danger of asbestos insulation added by a third party to pumps, turbines and blowers aboard three different ships. The ruling will allow cases filed originally by Navy veterans Kenneth McAfee and John DeVries to move forward against five manufacturers. Both veterans died from cancer during the course of litigation. The deaths have been attributed to asbestos exposure, which can cause serious illnesses such as lung cancer and malignant mesothelioma. McAfee served on the USS Wanamassa (1977-80) and the USS Commodore (1982-86). DeVries worked on the USS Turner from 1957 to 1960. The defendants in the case are Air and Liquid Systems, CBS, Foster Wheeler, Ingersoll Rand and General Electric, which produced the equipment used on the ships. In most cases, the equipment was delivered to the Navy ships without containing the asbestos materials, which were manufactured and later installed by different companies, many of which no longer exist. “This maritime tort case raises a question about the scope of a manufacturer’s duty to warn,” wrote Justice Brett Kavanaugh, who delivered the opinion of the court. The manufacturer has no reason to believe the product’s users will realize that danger. This was one of the first Supreme Court cases for Kavanaugh, who was named to highest court in the United States in 2018. He was joined by five other justices in his opinion. The equipment, when used as intended on the ships, eventually caused the release of asbestos fibers. The manufacturers — who failed to warn users — become liable. A district court in Philadelphia originally granted a summary judgement to the defendant manufacturers in 2014. In 2017, a U.S. Court of Appeals for the Third Circuit remanded the case, ruling the manufacturers may face liability, sending it to the U.S. Supreme Court. Our Veterans Department can help you or a loved one file asbestos-related VA claims and potential benefits. The Supreme Court ruling should help Navy veterans throughout the country dealing with serious health issues caused by the asbestos that was once so prevalent on ships. Branches of the U.S. armed forces cannot be held liable for any matter in a court of law, but Navy contractors can. Injuries at sea fall outside territorial boundaries of any state and typically come under maritime law and the Supreme Court. Decisions often are guided by past maritime rulings. The manufacturers believe they should not have been liable after delivering the products in a condition known as “bare metal” and without the components that made them dangerous. The Supreme Court, though, ruled otherwise.